Getty/Spencer PlattTwo-day shipping has become the standard. Americans are demanding faster and faster shipping times for their online shopping orders, according to a survey by consulting firm AlixPartners. The maximum amount of time considered acceptable to wait for a package is now just an average of 4.1 days, down from 5.5 days six years ago. AmazonPrime members are even more demanding. According to the survey, they expect packages nearly a day earlier than non-members, on average. This represents a new reality for online shopping. Online shopping is maturing – and customers are starting to get more demanding. As two-day shipping becomes the online shopping norm, Americans are getting more and more impatient, expecting there to be fewer and fewer days between the date they order and the time when the brown boxes and yellow envelopes start arriving. A new survey from consulting firm AlixPartners asked 1,000 American adults across all income and geographic demographics how many days they’d be willing to wait to have an item delivered. The new maximum acceptable time to wait for a package to arrive is now just an average of 4.1 days, according to the survey. That’s down from 5.5 days just six years ago, representing a swift change in customers’ expectations over a short period of time. More than half of the respondents – 56% – were AmazonPrime members. Six years ago, only 26% of the survey takers had Prime. The results represent a new paradigm for retailers trying to sell their wares online. Customers who are members of Amazon’s Prime service – which current estimates peg at about 90 million strong – could be leading this charge. According to the same survey, Prime members have even higher expectations. Their maximum acceptable wait time is only 3.8 days – nearly a day less than the average of non-Prime members, at 4.5 days. Prime was one of the first to offer unlimited, free two-day shipping with its $US99 annual subscription model. 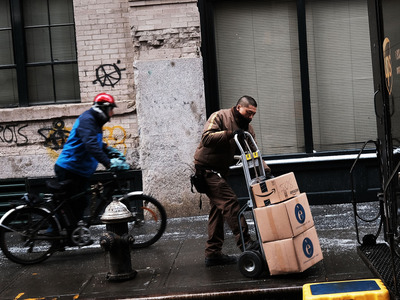 This may have gotten shoppers more accustomed to the convenience that two-day shipping offers – and more demanding as a result. That has forced big retailers who want to sell more online to adapt to the new reality of quick shipping. Free two-day shipping has been the standard at Walmart since early 2017, and Target has now qualified many of the items it sells online for free two-day shipping. Both retailers require orders to be $US35 or more to be eligible for free two-day shipping.